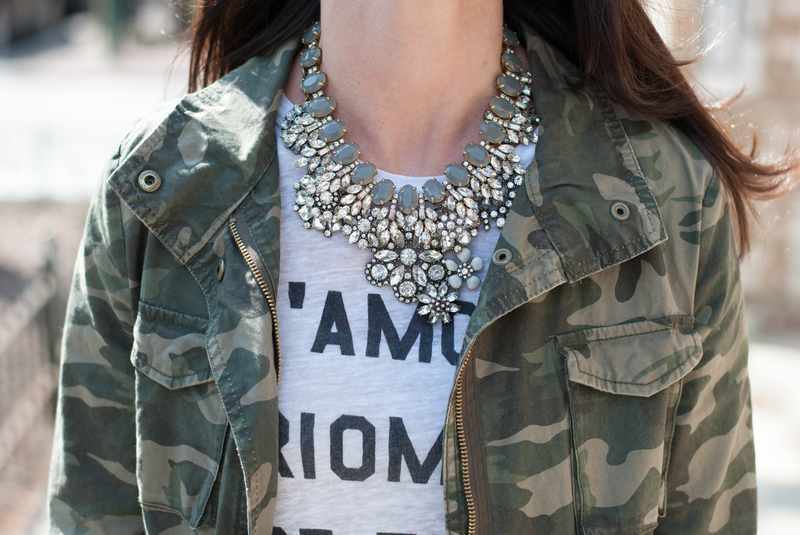 Alright, the only way to get me to wear some camo is to add a little (or a lot) of bling! “Camo and bling, camo and bling” the more I say them together, the more I like them together! 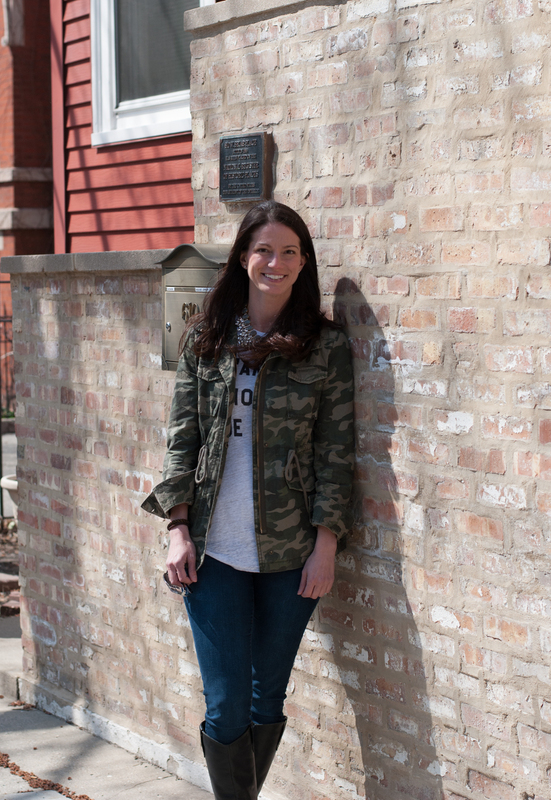 Once I started writing this post, I realized that every single time that I have worn this jacket, I have worn a statement necklace with it. Camouflage is never going to be something that I can wear unless I really girly it up in some way. I have thought about buying a pair of camo skinny surplus pants and when I think about what I will wear with them, I immediately think to wear a pair of sparkly flats or heels to really make the outfit authentic to me. Since I wasn’t sure if the camo trend was for me, I couldn’t bite the bullet and pay over $100 for the J. Crew version, but when Old Navy came out with this one, I decided to give it a try and I am really glad that I did. 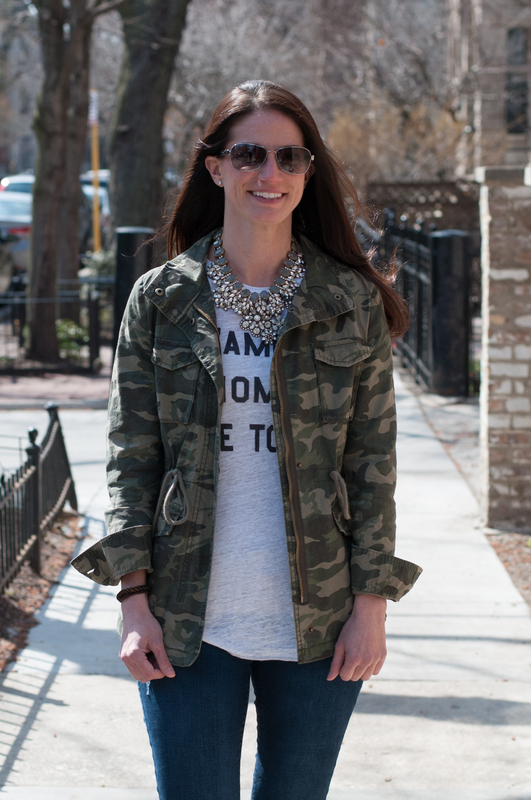 I have worn this jacket with pearls and a handful of other statement necklaces that I have. I can’t help it, I just love the way that camo and bling pair together! !